PNY's Elite Turbo Attache 3 USB 3.0 is built for Speed & Convenience. Get the most out of the USB 3.0 port on your new computer. Experience USB 3.0 next generation speed performance with transfer speeds up to 10x faster than USB 2.0. It's the perfect solution for easily storing and quickly transferring all your large documents, high-resolution photos, HD videos, and more. USB 3.0 offers the same ease-of-use and plug-and-play capabilities as previous generations of USB technologies, but with exceptional speed improvements. 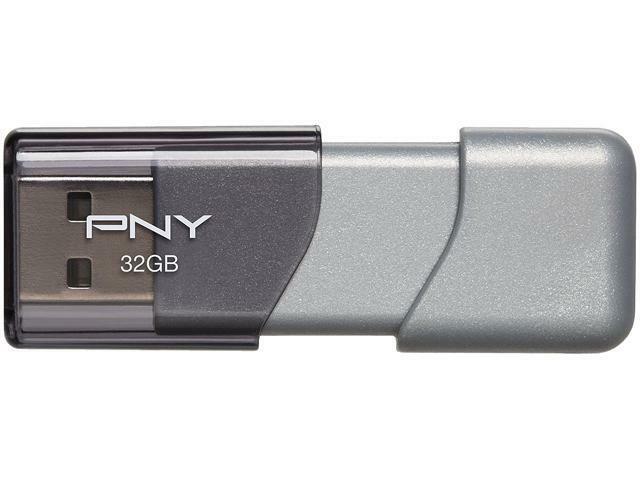 Designed for Reliable Portable Storage, PNY's Elite Turbo Attache 3 USB 3.0 Flash Drive is designed with convenience and portability in mind. The portable, light-weight Flash Drive incorporates a sliding collar cap less design that means for no more lost caps. This USB 3.0 Flash Drive is small in size, but big on performance! Pros: None that I can think of. Cons: Both failed after 5-6 weeks. Other Thoughts: Bought 2 thinking they were a good value. Disappointed when they both failed after 5-6 weeks. They just stopped being recognized as a formatted drive. I reformatted them and still failed shortly after (about a week). I always "eject" before removal, and have no issues with my other quality flash drives (Samsung) used on the same PCs. I would NOT recommend these flash drives. $8/ea for a few weeks of storage is not a value at all! That sounds truly awful. I am so sorry you had to experience this inconvenience with one of our products. Is there anything we can do for you? Please contact me at 888-316-1194 or e-mail me at customercare@pny.com. I will gladly assist you to find the best possible solution for this issue. I hope to hear back from you soon. we apologize that your experience with the product was not up to your satisfaction. Please keep us in mind for any future consideration also our Support team is ready to assist with any questions or issues you may have with the product, should you have a question please reach out to them at customercare@pny.com. Cons: Broke the second day of ownership. Backed up some data and found it gone the next day. Slowww. I cannot understand why it's called "turbo" if it is this slow. Other Thoughts: Just avoid PNY! Do not buy flash drives from them. SanDisk is the way to go. Please contact our dedicated support at championfocus@pny.com and can further review the situation and determine an appropriate solution. Cons: It's never worked. Fails formatting too. Pros: Sturdily built but the sliding cover is a but stiff at first. It will loosen up. I get 20MB/s transfers sustained, copying large files on a USB 2.0 system ! Kingston does 15MB/s on same system. I use it every day. Other Thoughts: There maybe better out there but among the other brands I've owned in this bracket it is the best. In fact I just ordered a 64GB one. Cons: Unreliable drive. It failed after only 7 months of very light use.RMA requires UPC, which is almost impossible to find after 7 months. Pros: I have two of these 32's and a 64 that ride around in my front pocket every day. They're substantially faster than USB 2.0 drives and are dependable storage devices. Cons: The covers now slide right off or are always open. This is a good design if they will spend their lives sitting serenely on your desk, but if they're used all day every day like mine (I'm a tech) and travel in my pocket, the slider will last a couple of weeks to a month and then stop locking altogether. Other Thoughts: I won't use a removable cover flash drive so retractable seems to be the option. This sliding cover is a cheap alternative that just doesn't hold up to constant use.